Supply chains are the systems and processes behind the goods that you interact with on a daily basis. The shirt you are wearing, the food you are eating, the phone you are reading this on -- they were all brought to you by a process known as a supply chain. Simply put, the supply chain is the process that a good takes from its initial manufacturer or producer, through a series of checkpoints, to the distributor, and ultimately, into the hands of the consumer. This post will explore how companies that distribute food can use the blockchain to enhance food safety, lower supply chain costs, and prevent fraud. This post assumes that the reader knows a bit about the blockchain. For a great starting point on the blockchain, watch Don Tapscott's TEDTalk on "How the Blockchain is Changing Money and Business." As supply chains have become increasingly global, companies have had to deal with issues around growing complexity and lack of transparency. While careful vetting might go into building the supply base of a company, organizations are often unaware of the supply chain that their suppliers have constructed. This became an issue for Nike in the 1980’s, when, unbeknownst to them, the suppliers they had chosen were using sub-standard manufacturing practices and utilizing child labor. This issue remains particularly relevant to companies today using an outsourced operating model, where lack of transparency creates quality concerns and higher costs. 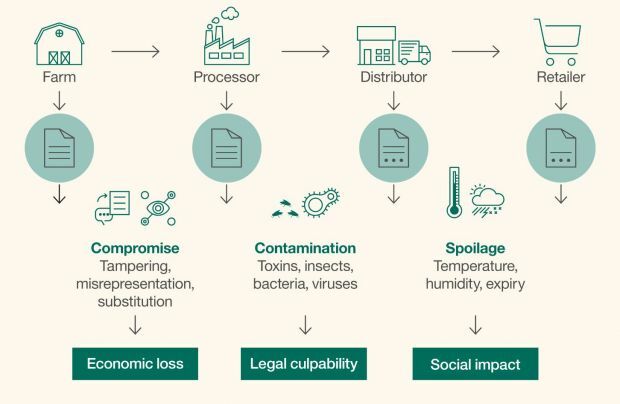 For food companies, the challenge largely centers around the fact that many of the processes that make up a food product’s supply chain are severely outdated. The food supply chain is particularly complex, and quality concerns are front and center. It involves farmers, processors, distributors and dozens of middlemen. Furthermore, each segment of the food system tracks and verifies the product quality in their own way. Many companies do it on paper or on systems that don’t speak to each other so as a company, you are unable to get real-time information about a product as it moves through the supply chain. For Maersk, who uses the blockchain to trace goods such as avocados and flowers, their problem was not in tracking the shipping containers but rather it was dealing with the mountains of paperwork that go with each container. Maersk had found that a single container could require stamps and signatures from as many as 30 people. It sounds crazy but the cost of moving and keeping track of all this paper often equals the cost of physically moving the container around the world. In short: the blockchain is a digital ledger that allows different segments of the food system to capture information about the product, what they've done to it, and where the product has been. It is a global tamperproof system for digitizing the trade workflow and tracking trade shipments from start to finish. Because of its decentralized nature, all of the participants on the blockchain would be keeping their own live version of the data, and, without a central authority, they could immediately see everything that was going on and trust that no one else had tampered with it. Chipotle has built its name on quality ingredients and states that they “source from farms rather than factories.” However, after their multiple E. coli outbreaks, experts now say that their local sourcing model may have become a double-edged sword. The diversity of Chipotle’s supplier base and their local and sustainable-sourcing supply chain strategy has opened Chipotle to food safety risks like E. coli. Their inability to monitor their suppliers in real time created a scenario where they couldn’t prevent the multiple E. coli contaminations nor contain it after the first outbreak. 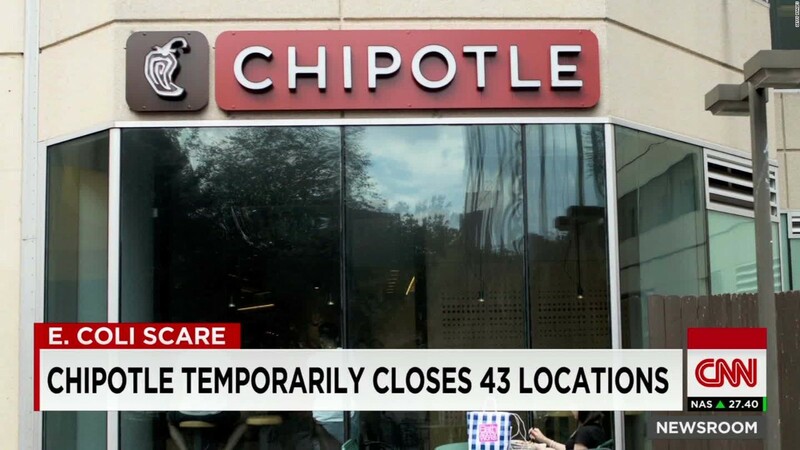 Using blockchain technology, coupled with advances in chip and sensor technology, Chipotle could have prevented, or at the very least, contained the E. coli outbreak as soon as the first case of it was found. From the farm to your bowl, Chipotle tracks millions of ingredients. At every step of the way, Chipotle’s ingredients need to be carefully handled, need to be kept within certain temperatures to ensure quality, and need to be tested so that spoiled orders don’t up in your bowl. Currently, Chipotle gets a lot of their beef from Australia. If Chipotle’s supply chain was built on the blockchain, Chipotle could validate with certainty where their meat was raised, handled, stored, and inspected. Using a mobile device or PC, the rancher in Australia would submit a packing list that describes the origin of the beef, what it was fed, the chemicals used, etc. Once the packing list is submitted, it becomes visible to all of the participants in the supply chain and a smart contract is initiated that enforces an approval workflow between the rancher and the next place where the meat is going. At the same time, info about inspection of the meat, the temperature of the refrigerated trucking container that the meat is being sent in, and the pickup by the trucker is sent to the next step in the supply chain so they can prepare for the incoming shipment. The most important concept to understand is that all actions relating to documents and physical goods are captured and shared without the possibility of fraud. When the good is transferred between two parties, identified as two addresses in the blockchain, it is logged in the blockchain and would include relevant supply chain information such as the location, date, price, and quantity, which would be available in the distributed ledgers. This makes it possible for anyone involved in this transaction – or future ones – to trace every ingredient or component to its place of origin. Furthermore, the decentralized ledger makes it impossible for anyone to manipulate this data, giving regulators such as food standards agencies or drugs regulators the ability to determine who is responsible for contamination or other breaches of compliance. The above scenario is a hypothetical use case. Let’s look at a real-world example of how Walmart uses the blockchain to track their food. Walmart recently launched a blockchain project intended to overhaul their entire supply. Together with IBM, they are using the blockchain to digitally track the movement of pork in China. The blockchain being used was co-developed by IBM and is designed to provide Walmart with a way to record a list of transactions that show how the meat has flowed from producers to processors to distributors to grocers and finally, to consumers. For Walmart, information on pork (e.g. farm origination details, factory data, expiration dates, storage temperatures, batch numbers, processing data, and shipping detail) is digitally connected to each package and entered into the blockchain at every step of the process. Each piece of information serves to provide a critical data point that could potentially reveal food safety issues with the product. In another Walmart example, a test to trace a package of mangoes to the exact farm by origin took them 6 days, 18 hours and 26 minutes to trace a package of mangoes to the exact farm of origin. By using blockchain, it took just 2.2 seconds. In a move that will help bring a safer food supply to China, IBM and Walmart recently announced the Blockchain Food Safety Alliance Corporation. Already, ten food suppliers and retailers - Dole, Driscoll’s, Golden State Foods, Kroger, McCormick and Company, McLane Company, Nestlé, Tyson Foods, Unilever, and Walmart - have signaled their intention to collaborate. This initiative is designed to bring efficiency, transparency, and authenticity to food supply chains around the world. 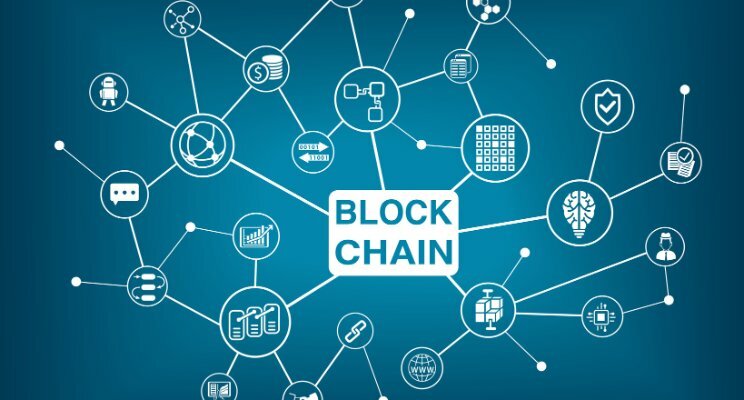 While we are clearly in the early stages of tracking food on the blockchain, expect to see more and more companies moving their supply chains to the blockchain to reduce fraud, inaccuracies, and spoiled food and create trust and transparency with customers.